The man this house is built upon was a pioneer who left his country and built a legend through artistry, ingenuity, and grit. To cite some of his most defining clients—Garbo, Bardot, Perón, and Monroe—in the press release served only to emphasize the difference between then and now. Ferragamo is a great house, but greatness should not be taken for granted. It should be built upon. 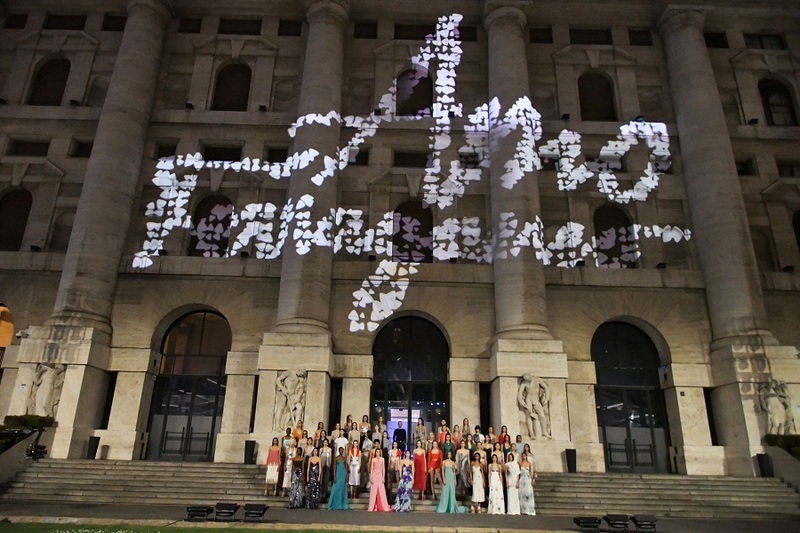 Ferragamo staged a party in the square outside it around Maurizio Cattelan’s one-fingered comment on the financial system’s attitude to the rest of us, L.O.V.E. The party was called Amo, so it was frustrating not to much fancy the clothes. With the exception of one perforated green leather jumpsuit that had a touch of swag and a color-bled degrade velvet evening gown that hinted at attitude, this was an unconvincing collection from womenswear designer Fulvio Rigoni. There was obvious line-sheet synergy between his clothes and Andrew’s shoes—just check the fabrications—but the execution of the ready-to-wear was both tentative and unimaginative. Motions were gone through. There was a series of perforated python looks that would have been just-about okay in a Cavalli reboot. There was a half-hearted tilt at a theme with dresses and knits that featured wide-weave silk scarfing. There was some expensive-looking post-Raf-to-Calvin transparency in the outerwear. And some open-backed, spaghetti-strapped silk dresses were fine enough but generic. Snakeskin was the key takeaway from Rigoni’s show, which aimed to mix and match textures – see Grace Elizabeth’s snakeskin pencil skirt belted over a liquid satin slip – and eras – Seventies flares, Thirties fringing, Fifties full skirts – to an effect that was often a little bewildering in its scope even if its aim was the admirable “celebration of individuality”. The most successful looks were those that were super simple, say, Linesy Montero in a tomato red slip dress, but often things felt a little overwrought.